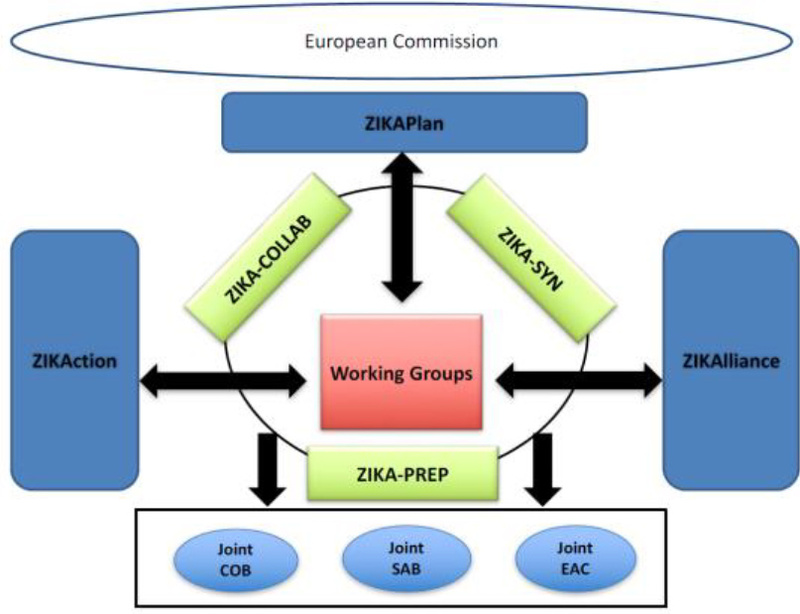 ZIKA-COLLAB is a shared WP between all three EU-funded ZIKV consortia (ZIKAction, ZIKAlliance and ZikaPLAN) that aims to enhance the output of each consortium through shared management structures and ethics and communications activities. This WP is lead by Servizo Galego De Saude, with Fondazione PENTA ONLUS co-leading. The figure below shows the interaction of all three EU-funded ZIKV consortia, including management structures shared between the consortia.